In vitro fertilization (IVF) is expensive but perhaps more important, it's an emotionally charged commitment with life-changing consequences. People considering this option undoubtedly want to work with the clinic that has the best track record. The US Centers for Disease Control and Prevention (CDC) requires all fertility centers to report every IVF cycle performed at their facility but a new study suggests some clinics' IVF success rate may be misleading. 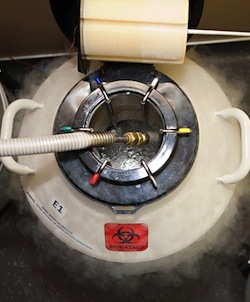 The study involved analysis of records from the Society for Assisted Reproductive Technologies (SART), which maintains a database of IVF cycles documented throughout the country. Analysis indicates more cycles being initiated than outcomes being reported. Unreported outcomes (success/pregnancy rates) increased from 3 percent in 2005 to higher than 7 percent in 2010. Of the 341 fertility centers under review, 13 reported a significantly higher rate of pregnancy than the others. Among this 13 were clinics considered "leaders in the field, according to Dr. Vitally Kushnir, research leader for the study team. He suggests the under-reported outcomes may be unintentional in some cases but he doesn't leave out the possibility that they were deliberately omitted. It's possible the high cycle initiation rate is a result of multiple rounds of treatment involving many frozen embryos (initiation) while only few determined to be most viable were implanted (success). In the most likely scenario, this would happen in older patients or those with lower chances of conceiving. The study involved 812,400 cycles reported by about 75 percent of the nation's fertility clinics. Cycles excluded from the reporting process grew from 3 percent in 2005 to 7+ percent in 2010. The 13 centers reporting high success rates reported outcomes for only two-thirds the cycles initiated, excluding as many as one-third of the outcomes. The majority of fertility centers reported a 48 percent success rate while the 13 in question reported a rate of 59 percent of fresh embryo transfers and to younger women. These same 13 clinics saw their combined market share go from 9 percent to 10 percent over the timeline of the study.